What if Google Sheets and your crm were BFFs? 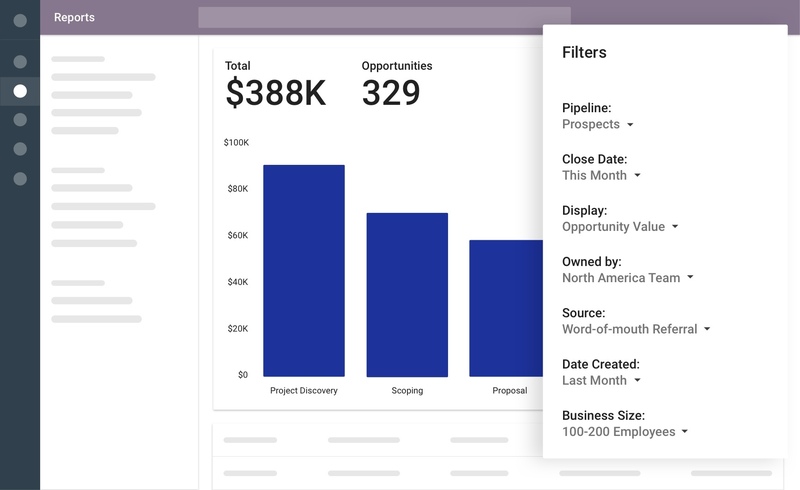 A Google Sheets-friendly crm that works with the rest of Google’s apps too. Trying to gather and visualize crm data can be unwieldy and take up a lot of time. Get onto a crm that connects instantly with all the Google tools you’re already using (like Calendar, Gmail, and more). Robust data that practically updates itself. 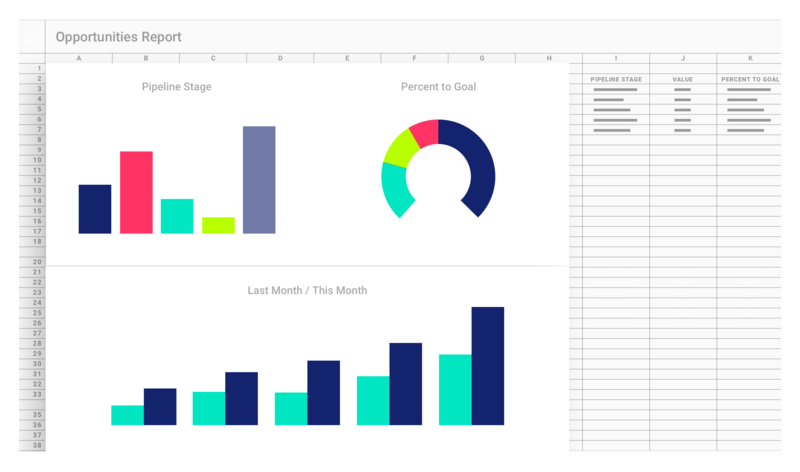 Build advanced custom dashboards, reports, and graphs using Copper’s crm data in Google Sheets—and yes, even Excel. Did we mention it takes just one click to refresh your Sheet with the latest data? From logging calls and messages to showing tasks and lead status changes, Copper displays every step of your pipelines’ progress so that your team can help pick up projects for each other at any time. Get the data you need to create the reports that everyone else wants. 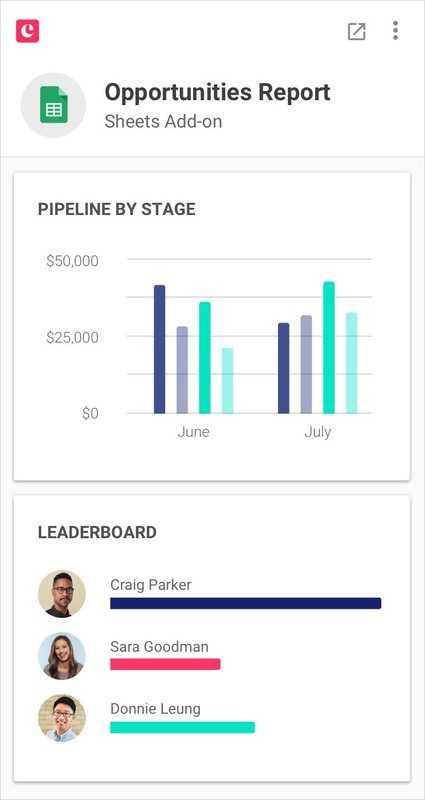 From customer support to sales tracking, having a Google Sheets crm can provide insights and show past trends and future forecasts. Try Copper with a free 14-day trial!